This is a cozy, smooth little soup to usher in a season I only fully appreciate in this city. As much as I'm a beach devotee, fall in New York is a stunning array of rich colors and sweet scents. Union Square Greenmarket in October when every stand is overflowing with sweet, crispy apples and pears (and the entire place smells like hot mulled apple cider and fried apple cider doughnuts) is everything. Fall is when my mind turns to roasted dishes and earthy root vegetables - things from the ground. After a summer of salads and juices, my body, too, craves something warm, cooked, and comforting. This soup is it for me. I have never really worked with celeriac (or celery root) much in the past but I'm pretty sure my mom has made celeriac soup a few times over the years. 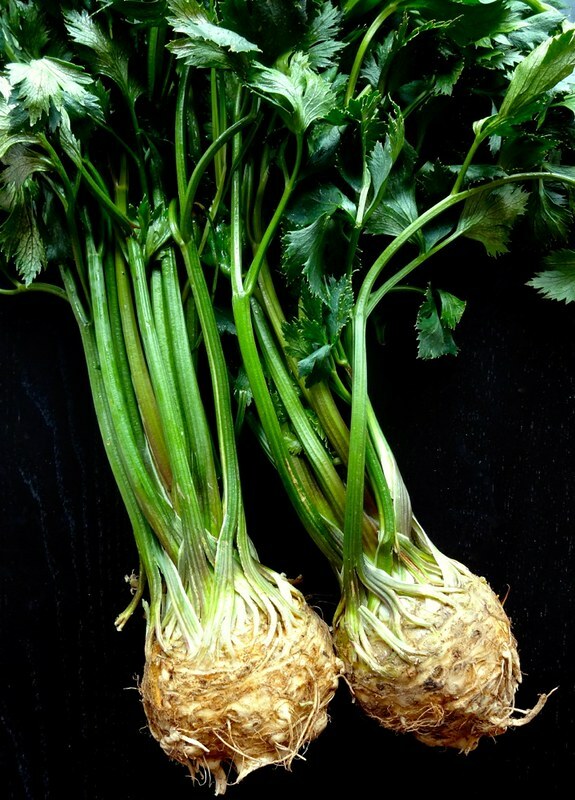 Celeriac is a type of celery that is cultivated for its edible root, rather than its stalks and leaves, according to Deborah Madison's Vegetable Literacy. It is very low in carbohydrates and is a good substitute for potatoes, if you are following a low-carb diet. It is also a great source of vitamins B6 and C, potassium, manganese, and phosphorus. It will discolor when peeled and cut so immediately place pieces of celery root into some lemon water as you work. The only downside to celeriac is that it is not really feasible to use the whole plant. The root has a pleasant, mild flavor, and the root is what you want. The gorgeous stalks and leaves are reminiscent of celery but, unfortunately, taste far too aggressive to be used in large quantities. Deborah Madison suggests using the stalks and leaves "judiciously" in soup stocks or as seasonings in a dish. I tasted a leaf and found it a bit too strong for my liking but I am saving the stalks in the freezer for a possible vegetable stock. If you know of a great way to use them, please let us know in the comments. Celery root has this clean flavor redolent of fresh celery stalks but, although it is a root, it does not taste as sweet as other root vegetables, like parsnips or carrots. Because of its delicate flavor, it works best with other similarly mild flavors, like apples and pears. And that, in my opinion, makes it the perfect fall vegetable. Celeriac is also delicious mashed with potatoes or other root vegetables or even served raw in a salad. Because it is so well matched with potatoes, I took some liberties here with the original recipe, adding a few potatoes for a more substantial soup. Then I added some mushrooms and a Dijon vinaigrette to the salad component - once I open the door to one beloved ingredient, others are quickly incorporated, too, I guess. The mushroom-walnut salad is actually pretty delicious on its own and there are countless uses for it: serve it on grilled or toasted bread with a little bit of goat cheese, toss with greens and more vinaigrette, fold into an omelette, stir it into cooked quinoa, millet, farro, or wild rice, or serve on its own with a poached egg. The salad cleverly highlights celery leaves, which are deeply flavorful and yet so often tossed or disregarded. Here, they assume a starring role. 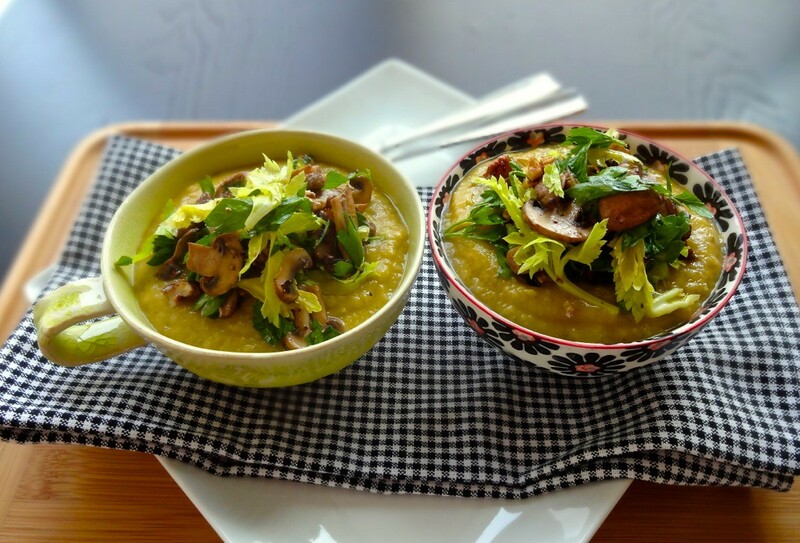 When the temperatures start to drop and you begin reaching for sweaters and scarves, keep this soup in mind. Squeeze the juice of 1 to 2 lemons into a large bowl of cold water and keep it close by as you work with the celery root. To clean the celeriac, trim the leaves and the stalks (set them aside for another use, if you wish). Peel the rough, gnarly skin by cutting a slice off the top and the bottom (the way you would peel a melon or pineapple). Then, carefully slide your knife down the sides, taking the peel off as you go. Cut the celery root into 1/2-inch cubes and immerse the slices into the lemon water as you work. Peel and dice the potatoes. Because the potatoes require slightly more time to cook than the celery root, be sure to cut the potatoes into roughly the same size or smaller. 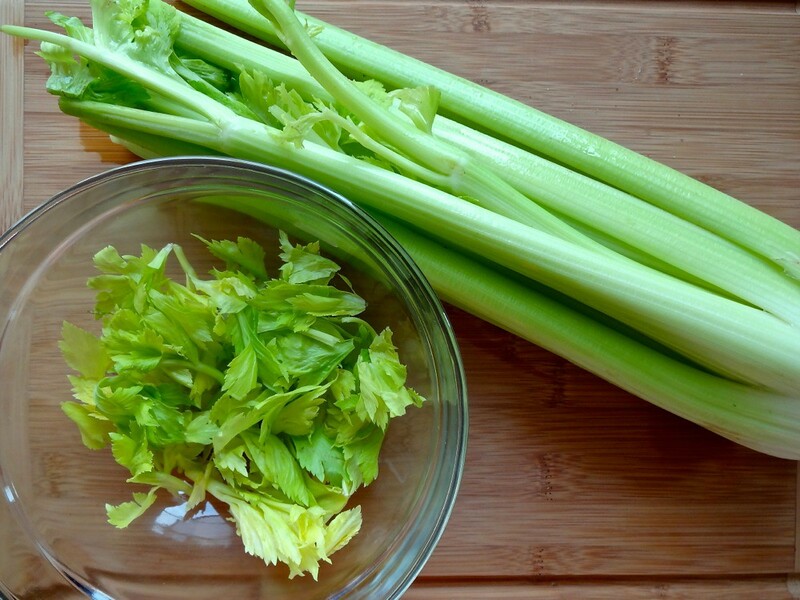 Chop the celery stalks into thin slices (and if they have leaves, trim and save the leaves for the salad below). Heat the oil in a soup pot over medium-high heat. Drain the celeriac (discard the lemon water) and then add the celery, celeriac, potatoes, shallots, and parsley to the soup pot. Cook, stirring from time to time, until the vegetables develop some color - about 8-10 minutes. Add the garlic, wine, and 1 teaspoon sea salt, and cook for a few more minutes until the wine has reduced. Add 6 cups of stock (or water) and bring to a boil. Lower the heat and simmer, partially covered, for about 30 minutes or until the vegetables are tender. Take the soup off the heat and allow it to cool for a few minutes before transferring to a blender. Blend or pulse the soup very briefly until smooth but leave a good amount of texture. Potatoes also tend to get gummy if blended too long. In a small bowl, whisk together 1 tbsp red wine vinegar, 1/2 tsp Dijon mustard, and 2 tbsp walnut oil. Season with sea salt and black pepper. Trim celery leaves from two bunches of celery. Rinse and dry the leaves and then set them aside.Toast the walnuts lightly. Heat 1 tbsp olive oil over medium-high heat in a large skillet. When the olive oil becomes fragrant, add the mushrooms and sautee for a few minutes, stirring frequently, until they become brown and begin to release some water. Add 1/4 tsp sea salt and some freshly ground black pepper and cook for a few more minutes, stirring often, until the mushrooms are fully cooked through. Toss the mushrooms, walnuts, parsley, and celery leaves with the Dijon mustard vinaigrette. 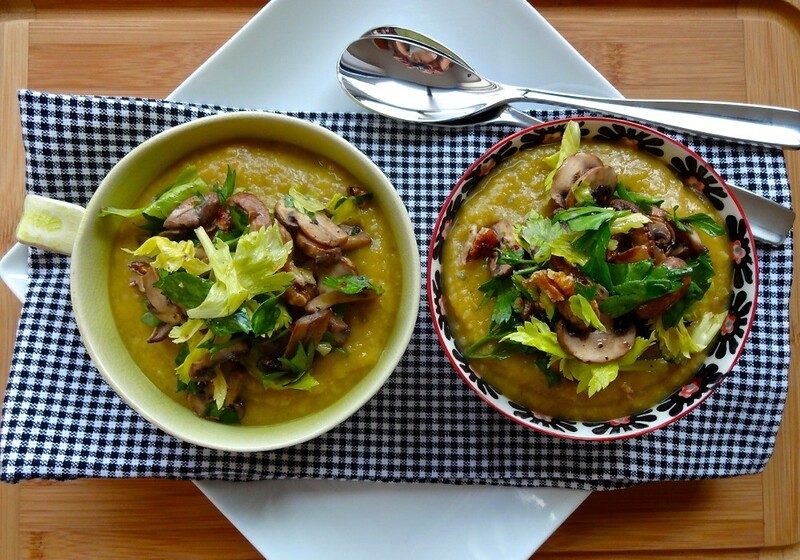 Serve the soup warm and top each bowl with two heaping tablespoons of the salad. Both the soup and salad will keep in the fridge overnight. 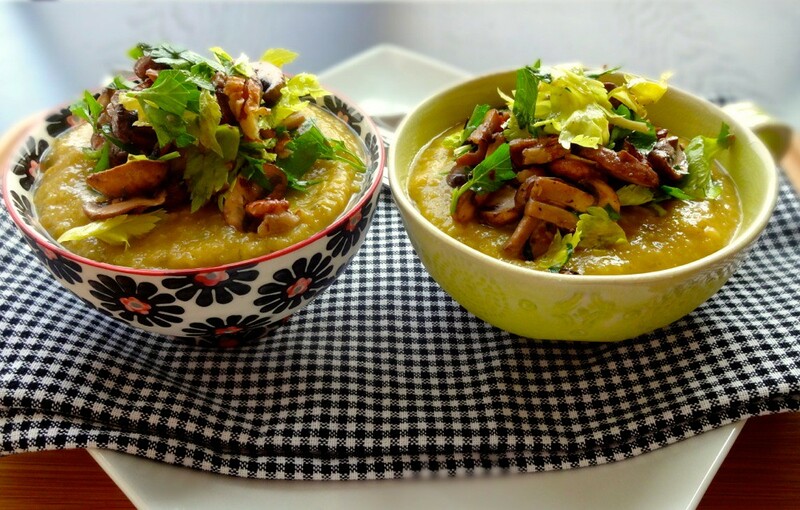 The soup may be safely stored in the fridge for up to three days. Notes: If you don't have walnut oil, substitute truffle oil or just plain olive oil - no need to purchase a whole bottle of walnut oil for this one recipe. But if you do, it makes for some delicious vinaigrettes.